The one common news story this off-season involving the Cubs, besides Clark, and their inactivity, has been their interest in Masahiro Tanaka. We heard all along that once/if Tanaka was posted the Cubs would be going hard after him, and as the Friday signing deadline looms we are seeing just how bad they want him. Bruce Levine tweeted out earlier that it sounds like the Cubs have submitted the highest bid for Tanaka, both in terms of years and dollars. Rumors were swirling yesterday that the Diamondacks had offered 6 years and $120 million, that doesn’t include the $20 million posting fee. So, expect the Cubs to come in well North of that, and there is good reason why, they aren’t good. Jon Morosi has hinted at Tanaka wanting to come to Major League Baseball and pitch for a winner, the Cubs aren’t that right now so they have to overpay, and sell Tanaka on the idea of winning down the road. Now if the Cubs can sway Tanaka to the North Side then I think that winning as a ball club gets much closer, he accelerates things for sure. Also, the Cubs are in a position where they can spend the money and not have it considered to be a bad deal, it doesn’t really hurt them either way, there is barely any money invested in this team right now. 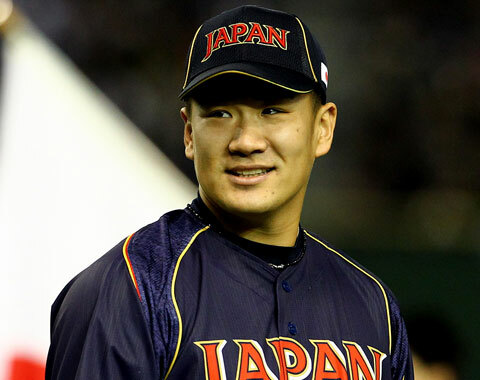 In regards to the Friday (1/24/14) deadline; David Kaplan suggests that any deal with Tanaka will be done no later than Wednesday (1/22/14) in order for additional physicals/etc to be performed. So there is a real chance that we see a conclusion, good or bad, tomorrow or Wednesday, stay tuned, I’m optimistic.